For one store or one hundred of stores, our ready to use custom signs are a fast and easy way to advertise your products and get them noticed by shoppers. Purchase the top sign holder frame then simply attach to our Heavy Duty Shelving units sold separately, search items 2061 and 2380. 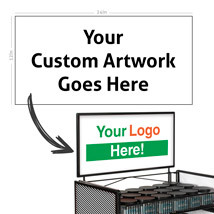 Let us create a custom sign package for your product or send us your artwork, and we will produce your photo-quality signs on our state of the art full-color digital printer. 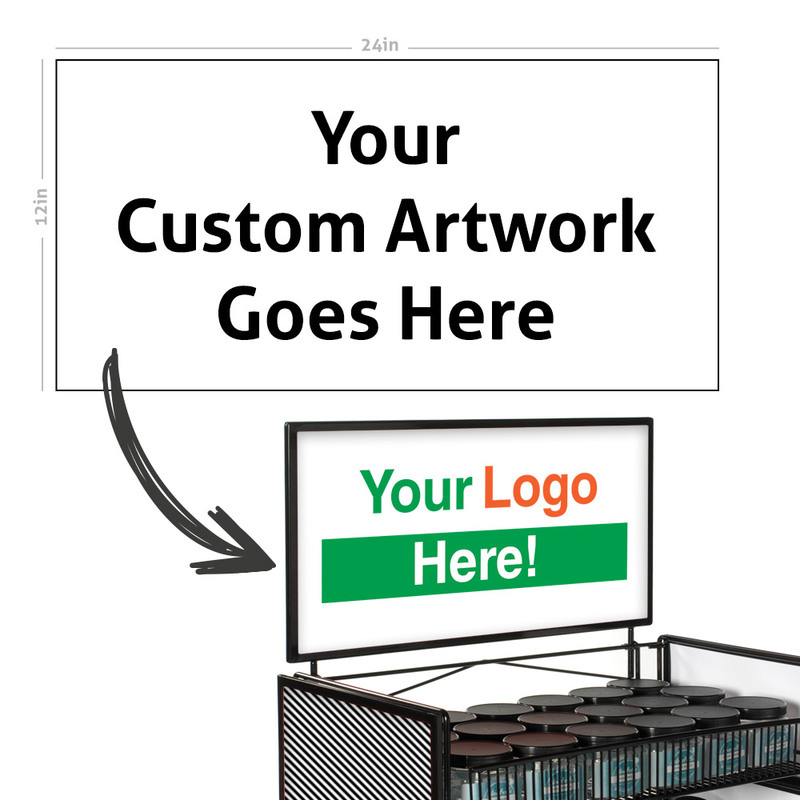 Top sign holder frame, item 1209, sold separately.